Why do SaaS (Software as a Service) B2B firms make you go through a demo? This was the question on an expert platform I'm a member of. "What's with all the secrecy?" Why not, as is common in the B2C world, simply let the user download the SaaS and use it for a free trial period? Wouldn't that lead to better traction and more paying customers? I don't think it's secrecy. I believe it's bad selling. "Look at this awesome thing I developed! Surely if you look at it, and I can control the demonstration, I can explain everything about it. Then you'll really want it!" Sometimes a product or service creator can be fearful someone will "steal" their idea. They have not realized ideas are a dime a dozen: it's execution that is difficult to match! This could lead to the perception of secrecy. But I believe poor understanding of selling is a much more common issue in the SaaS world. Many products are developed because the creator had an idea. Not because the market told them they needed it, note. This is why so many SaaS startups fail. No need. Then they make up some sort of pricing structure which has no basis in reality and certainly isn't profitable...and then must go out into the marketplace and try to convert people into becoming users. Tough road! What most salespeople (and people who shouldn't really be in sales, but accidentally fell into the role) fail to understand is that customers rarely buy because of ALL the features your product or service has. They tend to buy because of ONE of these. Example: the network security product I sold had four main features. But buyers would only be interested in one of them--a different one each time. Only months later, when they came back and asked the now-perceived-as-expert (me), "Gee, we need X...do you know anything that does that?" I could then happily inform them, "What you have now does that already." Sell first, educate later. Often, putting too many choices or things to think about in front of a prospect will result in overwhelming them. Another example: I'm a producer for a TV network. When we first meet with a prospect, I don't go into everything we can do. I stick to one big idea, and that's what we sell. When I first started in the field, I tried upselling, cross selling, what have you. Nope. All that did was confuse the prospects. Now I sell them on the one big idea...and then come back a little later, now that they're used to working with us, and pick up the other orders I knew would be a good fit following the first discussion. The standard belief is: "If I can just get in front of enough people and tell them about every single feature of my SaaS, I will get lots of customers." And to a degree this is true. If you see enough prospects, you'll accidentally make some sales. But you probably won't truly know why they bought. The demo is an outdated mode of selling. The assumption that people buy because of features and benefits is false. These salespeople don't know any other way, though. They want you on the call. Live. Then, they believe, they can convert you into a paying user. 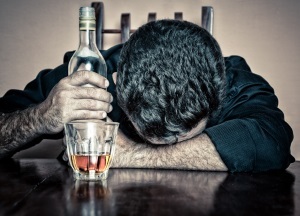 On your own, as a consumer, you're not to be trusted to come to your own correct conclusions. As a SaaS developer, what else can you do? Don't develop your tool in isolation! Don't create something just because you alone believe it would be a good idea. Do the people you're going to be relying upon to be paying customers agree this is a needed solution to a real problem? What do they want it to be and do? What size of a problem does it solve for them (pricing and validation hint)? Do they instantly "get it"? Or do you find yourself mired in the quicksand of attempted explanations and blank looks? Many, many SaaS startups have tried and crashed and burned because they did not find out the answers to these simple questions before they went ahead and developed their solution. It was a solution to a problem nobody but the creator thought was important. If you asked these questions before starting development, and got clear responses from your target market, you would be able to create a solution to a real problem...including features your audience has told you they will pay for. 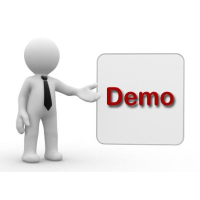 Now do you need a demo? Of course not. The sales copy will practically write itself. User adoption will happen like a rising tide. At that point, it's just a matter of letting your market know you and your solution exist. One final example. I sell a stock trading software currently valued at $5000 (the price is going up!). My discussion with prospects is NEVER about technical issues: I might have to answer one or two little tech questions, but we do not even look at the software. Buyers invest in the software because they understand it will help them make more money. I'll say it again: I have never had to do a demo or show a single screenshot of this software to sell it for $5000. 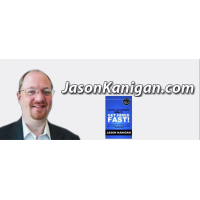 Jason Kanigan Interview On Job Hunting? Yes! With the experience of having four companies create customized roles for Jason, this unorthodox approach has been systemized for anyone to use. If you have a core competency, and don't want to be fighting with dozens or even hundreds or thousands of other applicants for the same one boring job, this is for you. and get the role you enjoy! 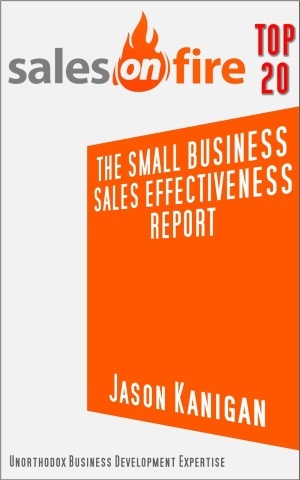 The Kindle book by Jason Kanigan On Job Hunting outlines this method in detail. In the interview I was asked if this process would only work with confident people. My response on air was "I don't want to rain on anyone's parade"...but you SHOULD be confident! If you aren't confident, what do you have to offer?! If you have skill, BE confident. Employers want what you have to bring to the table; they just don't know you exist. And trying to stand out in a sea of sameness in resumes and cover letters is not the way to get results. Standing Out is the key to the fast resolution of a job search...and getting the role you truly excel at instead of "just a job". A templated rewritten resume won't do that. A cover letter you agonized about every word over isn't going to do that. Getting differentiating content in front of top officers is. A critical change you almost certainly need to make is with your thinking about jobs. You probably think jobs are scarce. Well, advertised jobs are scarce. But jobs themselves are plentiful. You just have to know how to find them. Having a company create a role especially for you is easier than you think. In this interview, I tell you what the "Goldilocks" company looks like--which employers you ought to approach to have the best chance of getting the result you want. These companies have money, and for them to move $60K or more over to pay you is not a problem. This is a perspective and an approach very few people can even conceive of, let alone execute...but it's not hard, and I've done it four times.